The hostel had plenty of room for socializing both in a bar as well as a lounge/eating area. 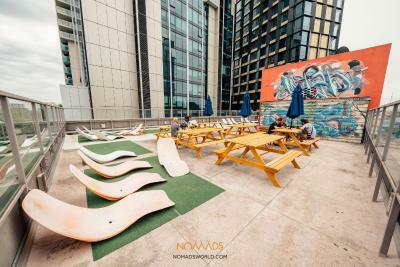 The rooftop lounge was also very nice. Drink specials every night. Comfy beds so nice for a hostel. Nice linen and comfy pillow. The room was comfy enough. And it has clean bed and toilet! Oh and it have two pillow amyways. It's pretty close to the Queen Victoria's Market and free tram zone. I love the individual toilet and shower combo rooms to enable guests to use the toilet and shower without having to get dressed up in order to use the toilet. I loved the free pancakes in the morning, great idea and easy to do! Makes for an extra perk when comparing hostels. Loved the laundry room and rooftop. Overall I enjoyed the property and location. Location is good in central city. Public area is good. It’s a decent hostel. 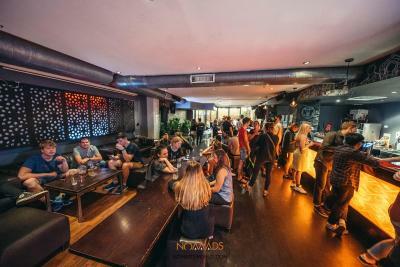 It has a great location and fun events in the hostel bar. The pancakes are pretty good too! I stayed in 6 female dormitory which has shower room inside. Comfortable bed. Location was in free tram area, easy to walk to the tourist place. 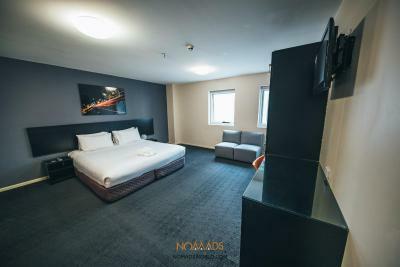 Nomads Melbourne Backpackers This rating is a reflection of how the property compares to the industry standard when it comes to price, facilities and services available. It's based on a self-evaluation by the property. Use this rating to help choose your stay! One of our best sellers in Melbourne! 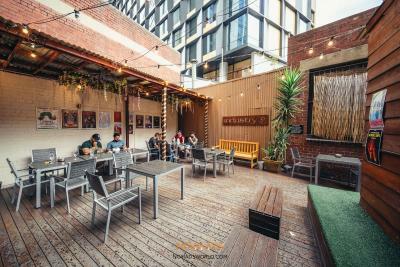 Located in Melbourne CBD, just 2 minutes’ walk from Queen Victoria Market, Nomads Backpackers features a rooftop sun deck and cinema lounge. 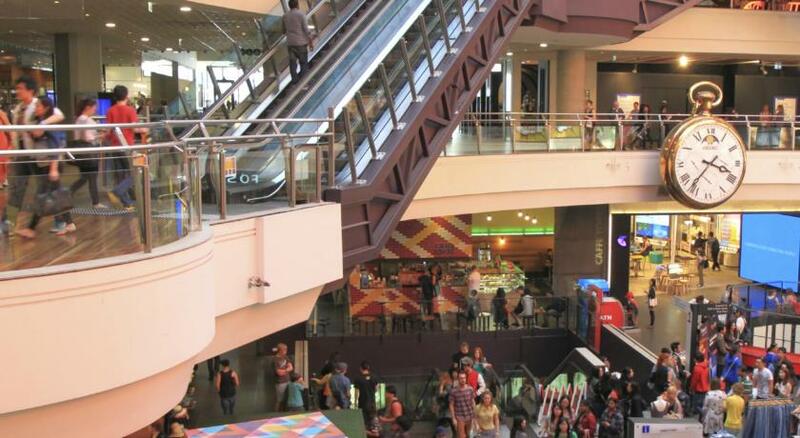 The property offers a 24-hour reception desk and free WiFi is available on the ground floor, 24-hours a day. In-room WiFi can be purchased. 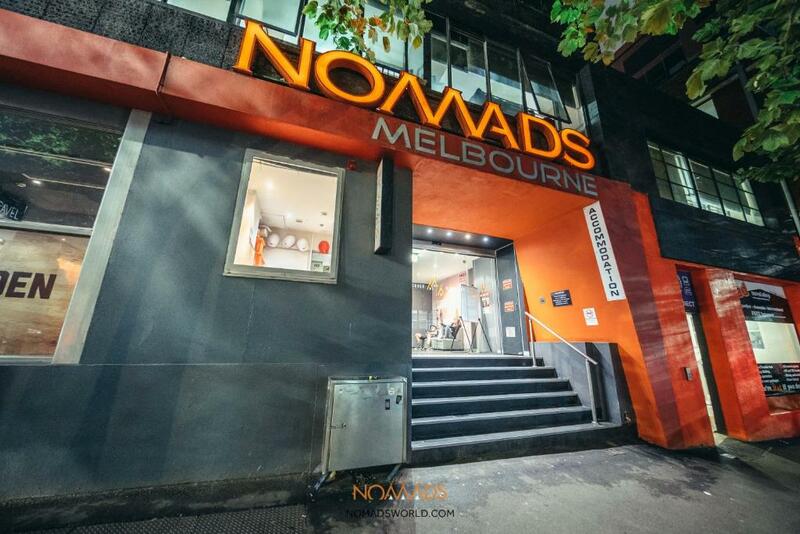 Nomads Melbourne Backpackers is located in the North End district of Melbourne city center. 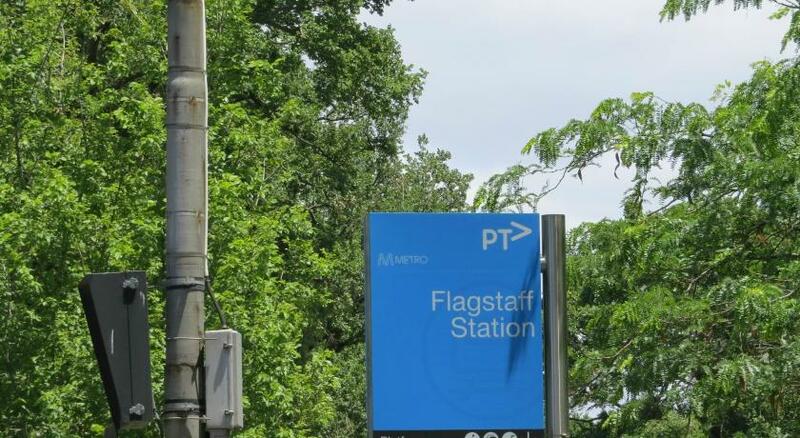 It is a 5-minute walk to Flagstaff Train Station and just 7 minutes from Melbourne Central Train Station. There is a shared kitchen with free tea and coffee. Free luggage storage is also provided. Guests can enjoy free pancakes every Tuesday and Thursday morning. The property offers a range of activities, including free walking tours, trivia nights, karaoke nights, live music and billiards. 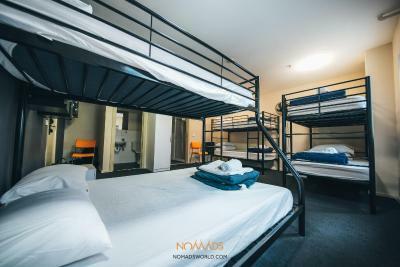 Private rooms with an private bathroom are available at Nomads Melbourne Backpackers. All bed linen is provided. The tour desk can help with onward travel arrangements. 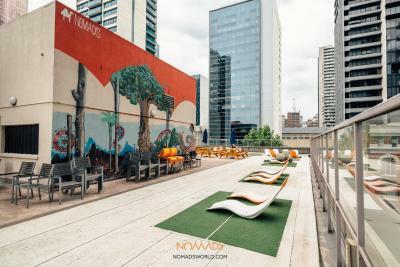 뀐 Located in the real heart of Melbourne, this property has an excellent location score of 8.2! 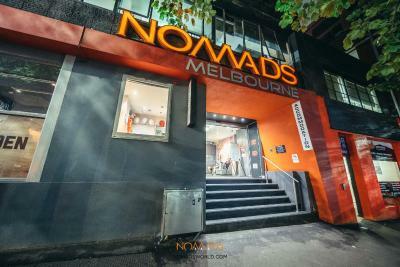 When would you like to stay at Nomads Melbourne Backpackers? Private guest room with private bathroom and TV. 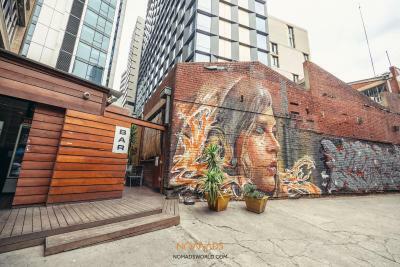 House Rules Nomads Melbourne Backpackers takes special requests – add in the next step! 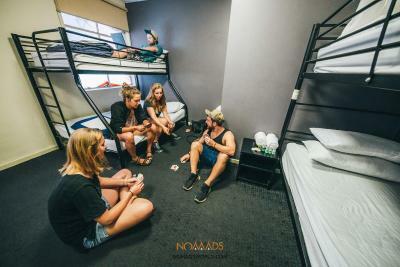 Nomads Melbourne Backpackers accepts these cards and reserves the right to temporarily hold an amount prior to arrival. The place was quite dirty, which I understand is difficult to manage with that many people but still unpleasant to deal with. The rooms stank and we immediately opened the windows when arriving. The sink in the bathroom was almost at my knees and they were tiny. The kitchen was always dirty and the shelves and fridges were full and completely disorganised which probably needs to be maintained. Cinema room was awful and didn't look like the photos. Posters needed to be changed as prices were wrong and facilities displayed inaccurately. The bed was comfortable and the staff were quite friendly with check-in and anything else we needed. The bathrooms were hardly kept clean during my stay. Outlets in the room were far from beds. I did not like how I was forced to make a mews a count to check in. Probably heard this before, but the kitchen needs re-doing as it's not big enough or up to date with everything else. You can ask any person that has stayed there. They will all agree. Awesome place to stay, rooms are really nice and modern and the beds are good. The cleanliness and toilet roll dispenser. I prefer normal toilet roll holders. I liked the location and price. Kitchen and bedroom really dirty. Toilets were ok. The breakfast is only pancakes, not other option. The fan in the bathroom wasn't working as well as one of the bedside tables. It was very warm and all we had to try and cool down was a fan no air conditioning. The tv only had 2 chanels that worked and most of the buttons on the remote didn't work. Because theres no fan in the bathroom you could see mold growing in places. Theres no where to place you shampoo and conditioner in the shower except on the floor with the mold. The staff were really welcoming and polite. Cool people there - always somebody to talk to. 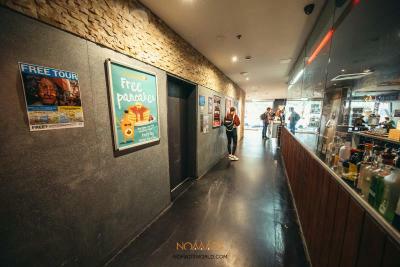 Cool events in the evening and also the pancakes in the morning are super nice!